As the healthcare industry continues to grow in terms of capacity and complexity, there is one thing that clinics and private practices have in-common; the need for an efficient revenue stream. For many healthcare administrators this presents a bit of a dilemma since, to provide quality care and secure a reliable revenue cycle, they must wear two very different hats. Professional revenue cycle management enterprises have emerged as a result of this plight to help the industry bridge their gap in expertise, enabling them keep their attention on patient services, where it is most needed. 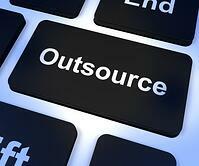 But questions remain about the pros & cons associated with outsourcing such a vitally important function. Physician owners and administrators must choose between associated risks and benefits. Security – Turning over access to privileged medical information to an outside organization may certainly cause concern. The potential for HIPAA violations and computer hacking should not be taken lightly. You need to be sure you are dealing with a reputable revenue cycle management enterprise employing highly trained personnel, and that you are partnering with fellow professionals experienced in maintaining high standards of integrity. Costs – The cost of an external revenue cycle management firm is often seen as expensive option. In reality, the added expense for such a service is usually offset by the increased effectiveness and efficiency of the revenue cycle management organization resulting in improved cash flow. Furthermore, it is often less costly than managing a lower performing internal operations. Maintaining Regulatory Compliance – The fact is, HIPAA guidelines are regularly adjusted by the US Department of Health and Human Services, and ensuring that billing procedures conform to these changes requires constant attention . Professional revenue management companies are experienced in understanding this constantly shifting regulatory environment, and make it their business to stay current in their training on new rules as they appear. Optimize Reimbursements – Because of their professional expertise in accurately understanding and applying applicable codings and rules, billing errors are dramatically reduced, resulting in enhanced reimbursements to the practice. Revenue management professionals are focused on the coding requirements and insurance industry details that can make all the difference between a reimbursement bottleneck and a smooth functioning reimbursement process. Enhanced Monthly Cash Flow – With these two elements efficiently operating, revenue management experts can address such concerns as identifying accurate co-pay data, coverage verifications, and authenticating billing figures. The cumulative affect of such measures results is a reliable income stream. Improved Profitability and Efficiency – With a dedicated revenue management staff attending to these issues, the efficiency of clinical staff at respective clinics and physician practices is dramatically improved – since they now can maintain their attention on patient care activities. The effect of these two processes working together leads to a noticeable boost in most facility's bottom line on a consistent basis. Preparing for ICD-10 - With the implementation of ICD-10 coding requirements looming large this next year, it is imperative to have knowledgeable, qualified professional coders to rely on. In other words, outsourcing these billing and collection responsibilities improves both the revenue cycle, and the healthcare delivery process for employing organizations. Healthcare Information Services, LLC is a high quality Revenue Cycle Management provider focusing on providing RCM solutions to orthopedic and radiology practices.